Happy Birthday, Helen S. Hamilton! 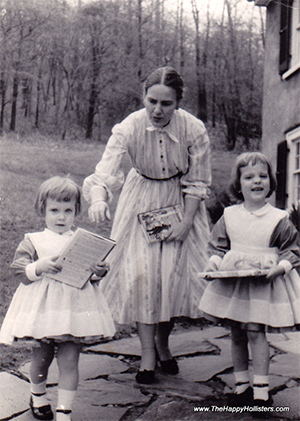 Please join us in wishing a very happy birthday today to Helen S. Hamilton, who illustrated all 33 volumes of The Happy Hollisters by Jerry West (aka Andrew Svenson). 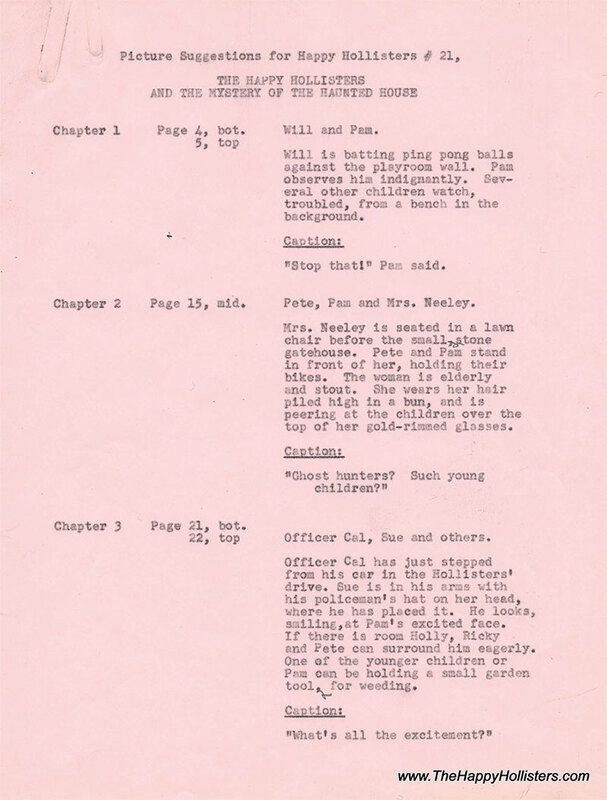 When we were preparing to reissue The Happy Hollisters in paperback, we searched through Andrew Svenson’s copious files to find contact information for illustrator Helen S. Hamilton. We found an address on some old letters, but it led to a dead-end, and even with the search capabilities of the internet, we were unable to track her down. Shortly after the first book was reissued in 2010, we received an email from Helen’s daughter, Faith. A friend of Helen’s had seen an article in the newspaper about the books and passed it on to her. Since Andrew Svenson had been a newspaperman before he was an author, we can’t help but think he would have been tickled that we got in touch the old-fashioned way, through a newspaper article! We were delighted to get to know Helen and her family through our online correspondence, and she, in turn, was happy to hear that the books are enjoying a revival. The written descriptions of Pete, Pam, Ricky, Holly, and Sue sparked the imagination of many young readers, but Helen’s drawings really brought them to life. We’ve heard from many fans who fell in love with the Happy Hollisters through her illustrations, and put together a list of some of the questions we’ve been asked over the years. Faith recently visited her mother and the two of them collaborated to answer our questions. How did you meet Andrew Svenson and become the illustrator for The Happy Hollisters? Helen had gone to a different publisher to show her portfolio (she can’t remember which publisher). They had said that they thought maybe Doubleday would have a good job for her. She went to Doubleday and they asked her to do some samples for them. Then they hired her. There are over 1,100 illustrations in the series – that’s a lot of drawings! How long did it typically take to do one drawing? Were there usually revisions? At first, she presented sketches first for every illustration. The publisher made suggestions, and then she did the final pen and ink drawings. Eventually she would just do the final drawings without presenting sketches first. She had to turn out the drawings quite fast. In the first few years, she completed about three books a year, and only had about one month from start to finish for each book. Her husband, Bill Hamilton, helped with some of the drawings, especially when she needed to draw cars or bicycles. In 1952-1953, Helen was pregnant with her first child (me!) while she was working on the illustrations for the first book in the series. The characters in your illustrations resemble the Svenson children quite well. Was that intentional? Did you meet the family, or work from photographs? Are there elements of your own children in the illustrations? What medium was used for the final artwork? The drawings for the text of the books were done with pen and ink, and for the 2-color illustrations, she did an overlay for the second color. All of the cover illustrations were done in watercolor. Did you illustrate the covers as well as the interior artwork? Yes, Helen illustrated all of the original covers for the series, and all of the interior artwork. Did you travel to any of the destinations featured in the books? Helen always wished that the publisher would send her to the places that were featured in the books, but that didn’t happen. As a family, we did travel to some of the places, like Santa Fe, New Mexico. On our trip to the west, we met people who knew of the Happy Hollisters, and were excited to meet the illustrator for the series. Did you have a favorite Happy Hollisters book? One that was more fun to illustrate than the others? Did you illustrate other books? Yes, Helen did a lot of other illustrations. She illustrated some of the stories in the Best in Children’s Books anthologies, and also in Jack and Jill magazine. Both Helen and Bill did a lot of illustrations for textbooks and magazines. 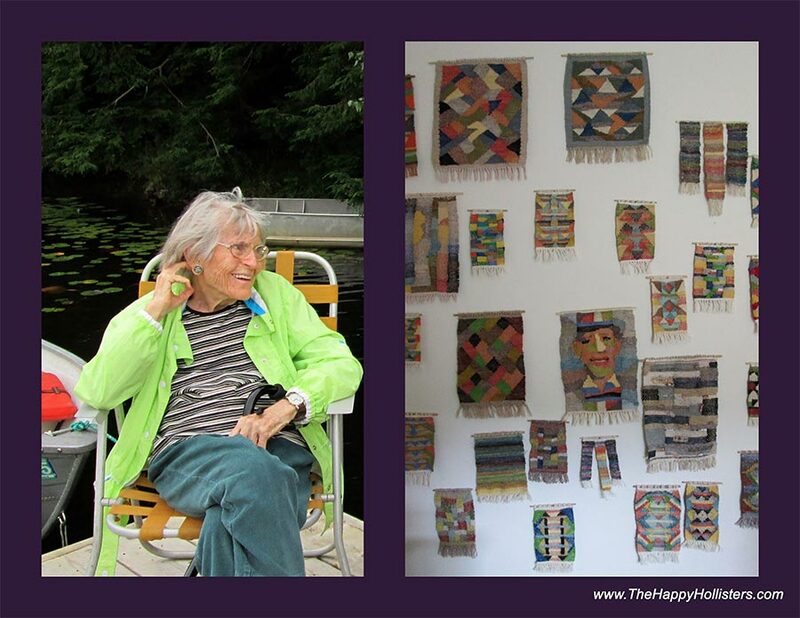 Below is a photograph of Helen S. Hamilton from September 2013, and a photograph of her “wall of weavings” showing her art form these days: textile pieces woven on a small frame loom. Beautiful! With our gratitude for bringing the Happy Hollisters to life for millions of children, we wish you a very, very happy birthday, Mrs. Hamilton!